Sacramento, most vulnerable city after New Orleans, is biggest target in Calif.
Jump to video Yosemite: "What postcards are made of"
Water is released through the outlet tubes at Grand Coulee Dam, Wash., on Wed.esday. The giant concrete dams of the arid West are like a massive plumbing system, and these days the pipes are close to bursting. 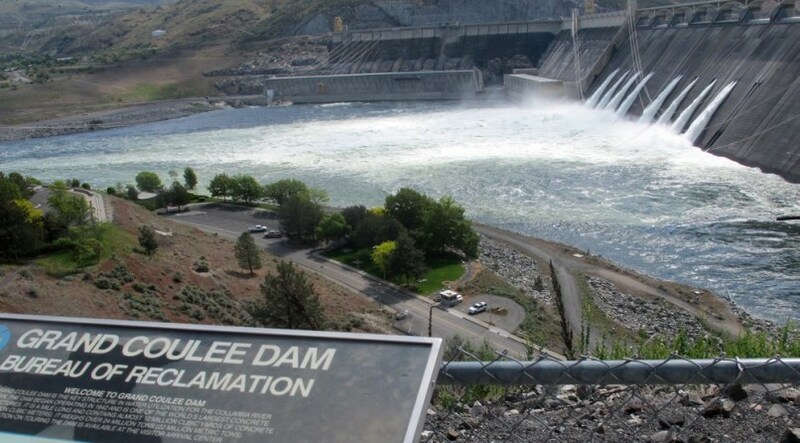 At Grand Coulee Dam, gigantic cascades of water are being released to make room for spring snowmelt that is expected to fill the reservoir. The surging water is so violent that fish downstream are being killed.